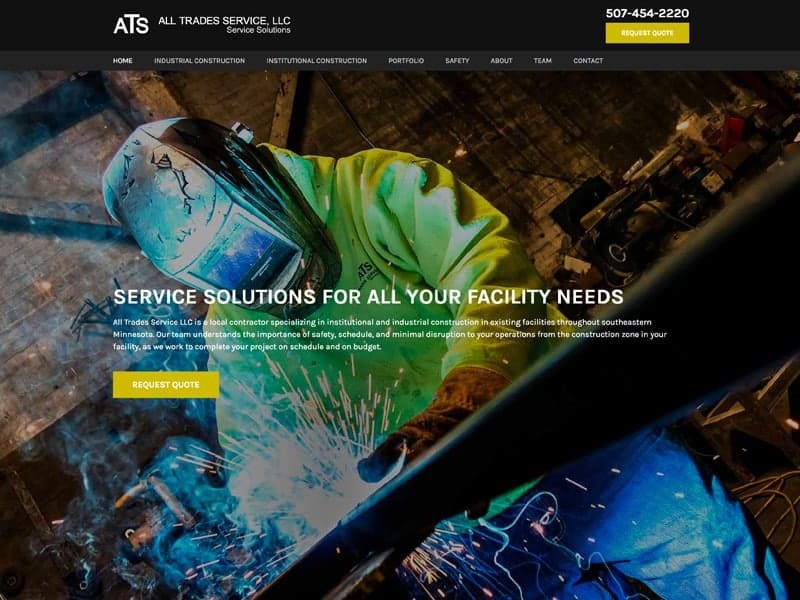 Specializing in industrial and institutional construction All Trades Service, LLC a Winona based company was in need of a new and upgraded website. Offering a variety of different services from small to large scale construction projects, their mission remains the same to complete projects on schedule and on budget. With the work of our design team, what had been a plain and ordinary website is now one that is sure to stand apart from the rest. A vibrant home page and blend between both images and print, potential clients have an easy to navigate site that demonstrates All Trades professional and high quality services. Differentiate from the competition with help from our design team. Contact us to set up a consultation about your next project or to learn more about our services.